When your car needs any form of auto glass service including windshield replacement in Seattle, come to us; we promise to fix it fast at an affordable price. 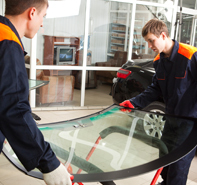 We offer a wide range of auto glass solutions to customers around Washington and strive to keep them happy through tailoring our services to fulfill their different needs and expectations. Even if you are looking for customized window tinting in Seattle or auto glass repair in Burien, our professionals are always willing to solve auto glass problems thanks to the different auto glass and auto glass tints that customers can choose from. 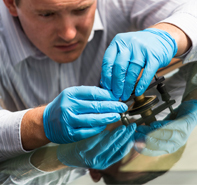 We have a dedicated team of technicians that have years of experience in auto glass making them deliver cutting edge solutions that you won’t find anywhere else in Washington. Our commitment to service excellence coupled with our continuing research always puts us ahead of the competition. We blend the best skills in auto glass with state of the art equipment to give our customers a unique experience through installing high-quality auto glass tints and windows. Customer satisfaction always ranks first in our list of to dos; we attain this through offering high quality products and services promptly and at an affordable price. Our customer support is unmatched thanks to our dedication to keep customers informed on anything related to auto glass service and repair. Protect your auto investment with tinted windows from The Best Auto Glass and Tint.